Maestro Tourniaire conducts Massenet’s Werther at La Fenice Opera House. Giulia Semenzato is among the soloists for the concert of the Mozart Week with Il Giardino Armonico conducted by Giovanni Antonini. 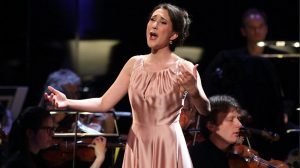 Under the direction of the renowned Antonio Pappano, Sonia sings Mozart’s Requiem at the Accademia Nazionale di Santa Cecilia in Rome. Miriam Albano makes her debut at the Deutsche Oper am Rhein with the role of Angelina in Rossini’s masterpiece La Cenerentola. 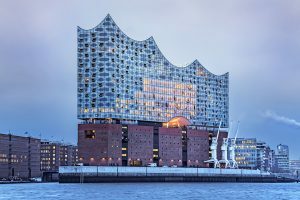 Giulia is Zerlina and Christian Leporello in Mozart’s Don Giovanni alongside Erwin Schrott at the Elbphilharmonie Hamburg (6 January), La Chaux-de-Fonds (8 January), Paris Théâtre des Champs-Elysées (10 January) and Basel Martinskirche (11 January). They are accompanied by the Kammerorchester Basel under the baton of the great Giovanni Antonini. STEFANO PODA – Welcome on board! We are proud and thrilled to announce our new collaboration with Opera Director, Set-Costumes-Lighting Designer & Choreographer Stefano Poda and invite you to immerse yourselves in his universe of fascinating beauty based on a perfectly coherent, inimitable style. Maestro Diego Fasolis conducts the prestigious Christmas Concert at the Teatro alla Scala, broadcast live on RAI television. 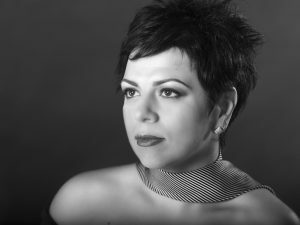 After her unforgettable performances as Violetta at the Teatro di San Carlo in June, Maria Grazia sings again the title role of La Traviata for the Teatro Regio in Turin. He can be seen on stage as Taddeo in L’Italiana in Algeri at the Liceu Opera Barcelona.